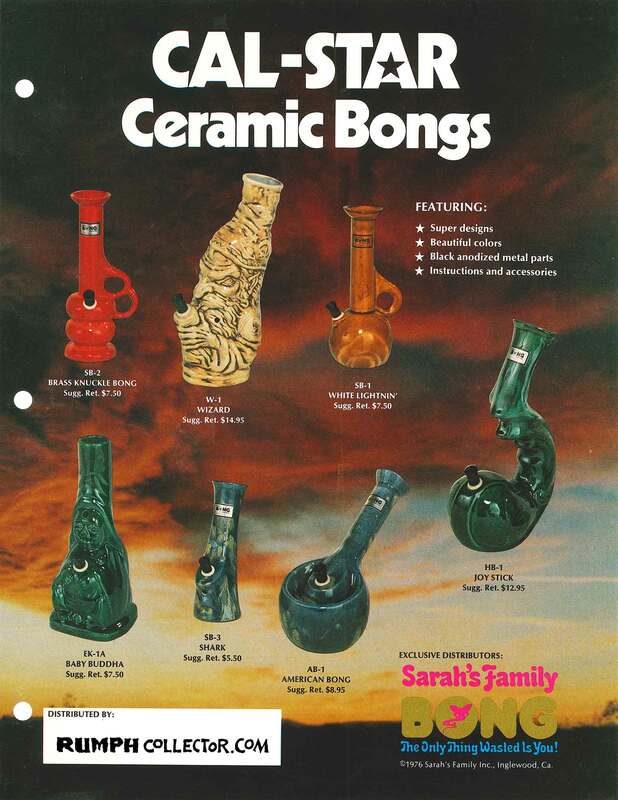 It is known that Rumph had a relationship with Sarah&apos;s Family Bongs. Cal-Star would appear to be a division of Sarah&apos;s Family. What is called the "Joystick Bong" here is known as the "Pipe with no known name" on TheRumph.com. 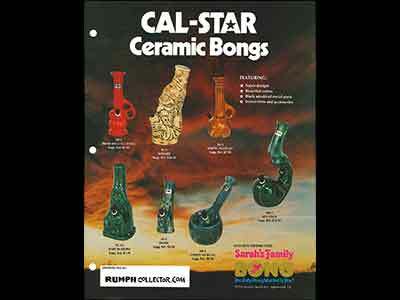 The Cal-Star "Wizard" is known as " Wizard Bust Bong" on TheRumph.com. I suspect most, if not all of these, are Rumph. However I have no evidence of that, as with the exception of one photo of the "Baby Buddha Bong", I have been able to track down little info on the rest.